What is restorative dentistry? Restorative dentistry restores the function and health of your teeth and gums. Dr. Michael Yeh and his caring staff practices restorative dentistry. Dr. Yeh is your skilled restorative dentist. Restorative dentistry allows you to eat the foods you like. You’ll be able to bite into fruits like plums and apples without pain or discomfort. Tired of those shifting teeth? Restorative dentistry replaces missing teeth and keeps them aligned. Protect your teeth and gums with restorative dentistry. Our restorative dentistry procedures will give you a healthy mouth in no time. When you need cosmetic and restorative dentistry, Dr. Yeh and his staff are the Seattle restorative dentists to see. When it comes to restorative dentistry in Seattle, you’ll get what you need at Sea-Tac Family Dentistry. Need to find a good dentist? Contact Sea-Tac Family Dentistry for restorative dentistry. 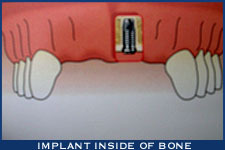 Mouth reconstruction can return your teeth and gums back to normal. Sea-Tac Family Dentistry has the experience and expertise of Dr. Yeh. He uses mouth reconstruction to replace uneven teeth, large discolored fillings and tooth gaps. Dr. Yeh can also replace missing teeth in the back of your mouth. Dr. Yeh prides himself on giving patients the dental health and smile they want. Dr. Yeh uses orthodontics, dental implants and natural looking crowns. His mouth reconstruction procedures can fix many dental problems. Your smile says much about you. Without your smile it’s easy to lose self-confidence. You don’t smile, because you may not like the way your teeth and gums look. Stop hiding your beautiful smile. Let the Seattle smile makeover expert restore your smile. Dr. Yeh is an expert at smile makeover restorative dentistry. For over 20 years Sea-Tac Dentistry has been the home of smile makeover restorative dentistry. Dr. Yeh and his staff enjoy giving their patients smile makeovers. You’ll be able to smile and be your regular self with our smile makeover restorative dentistry.